Perfect i use this on my homework! This one is in my top 5 favorite fonts of ALL time! So cute! Thank you!! 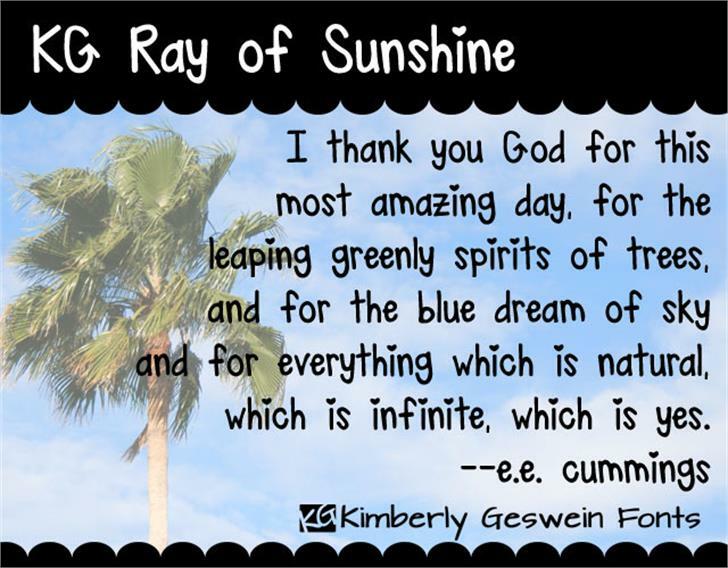 KG Ray of Sunshine is a trademark of Kimberly Geswein.